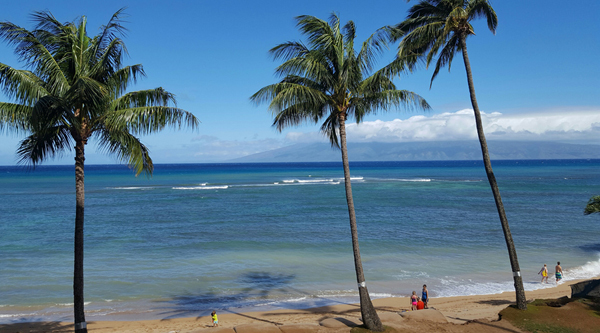 Imagine the warm sun and sand, sparkling blue Pacific, the soft Trade Winds. The air is lightly scented with flowers. 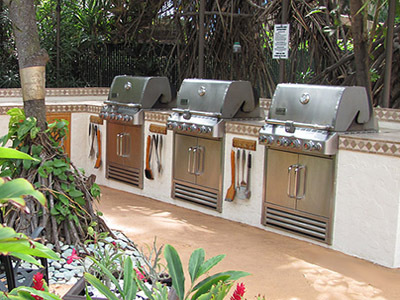 The orchids, fragrant Plumeria, and bright Hibiscus are everywhere. 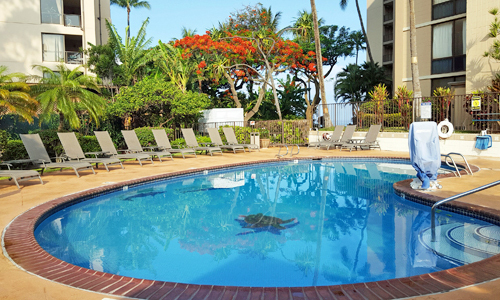 Our apartment and lanai are oceanfront, 3rd floor. 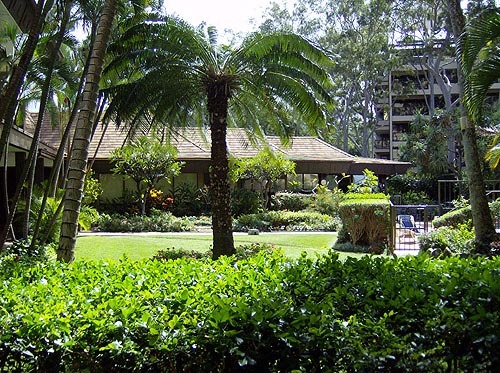 The Valley Isle Resort building is 12 stories tall with open halls overlooking the mountains, the sand of Kahana beach and the heated pool and picnic-grill area. Five championship golf courses are within 5 minutes of the Valley Isle Resort. 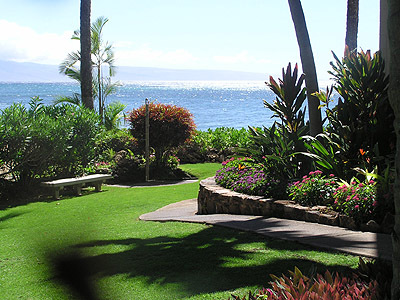 Lush tropical gardens surround the resort. 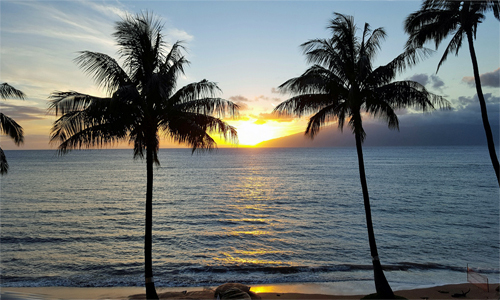 Sunset View From Our Lanai Sunset is your only appointment all day and night. 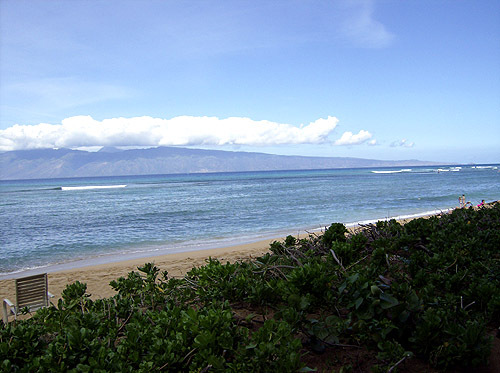 Watch the sun slide into the horizon from the beach or lanai. This is the time to celebrate another wondrous day in paradise.